The 31-year-old Cogliano from Toronto has 11 points (three goals, eight assists) in 46 games this season. "In acquiring Andrew, we are able to add a conscientious player who brings a veteran-presence to our room," Stars general manager Jim Nill said in a statement released by the team. "His explosive speed, 200-foot game and iron-man mentality will help our team both on and off the ice." The durable 12-year veteran is among the NHL leaders with 19 short-handed goals since entering the NHL in 2007-08. 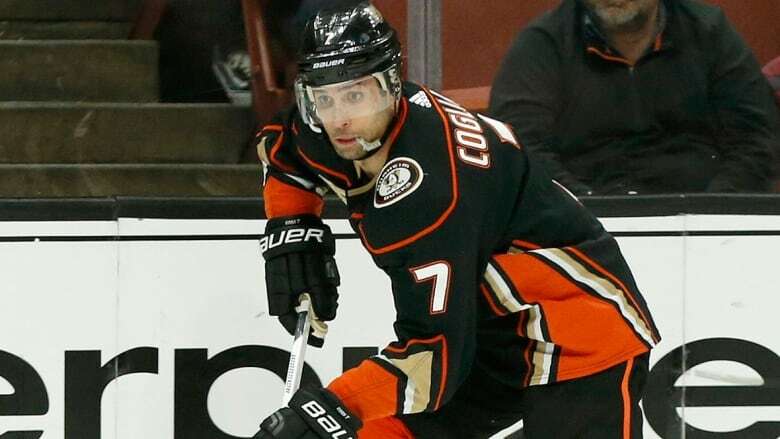 Cogliano has missed just two of 914 games in his career. Both were because of a suspension last January. Cogliano has 379 NHL points on 159 goals and 379 assists. The 24-year-old Shore has 17 points (five goals, 12 assists) in 42 games. The native of Ajax, Ont., has 82 points (29 goals, 53 assists) in 209 games over parts of four seasons with the Stars.